In addition to general orthopedic care, we have a strong team of sports medicine doctors on hand at Midwest Orthopaedics. Several of our doctors and PAs work with local sports teams to provide on-site medical care for athletes. No matter how fit and active you are, injuries can always happen. An injury can prevent you from living the active lifestyle you’re used to, and it is absolutely critical to get the best care possible. Let our skilled orthopedic team get you back to the game you love. Knee injuries are among the most common sports medicine conditions we treat. Fortunately, there are a number of surgical and non-surgical treatments we can consider. Viscosupplementation involves the injection of fluid into the knee joint, which lubricates the joint to improve mobility and relieve pain. An alternative to surgery, this treatment is often used for patients with severe arthritis in the knees. A single injection can provide up to 6 months of relief for some patients. Learn more about viscosupplementation. Cortisone injections are anti-inflammatory steroids that are injected into the knee to reduce swelling. For many patients, a cortisone shot also provides pain relief as a result of less swelling. Dr. Sharpe and Dr. Gaddy perform a specialized procedure called chondrocyte implantation (Carticel®) to resolve cartilage injuries in the knee. The two-step procedure involves a cartilage biopsy, where the orthopaedic surgeon evaluates the extent of damage and collects healthy tissue samples, which are used to grow new cartilage. The second step is to surgically remove any damaged tissue and replace it with healthy cartilage tissue that was grown from your own healthy cells. Finally, an injection of Carticel® is administered by the surgeon to facilitate repair, provide pain relief, and improve function. Recovery will include physical therapy and 6 to 12 months of activity restrictions. 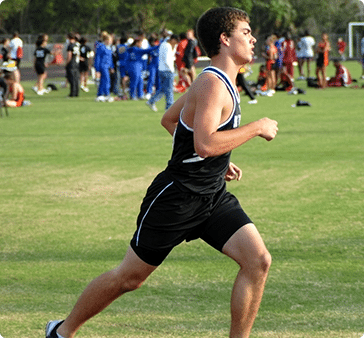 At Midwest Orthopaedics, we know sports, and we specialize in getting injured athletes back in action. For a skilled sports medicine doctor in the Kansas City metropolitan area, call our office today or request an appointment online at your convenience.